Conveyancing is the pivotal aspect of buying a new home, so finding a good solicitor is crucial. Kick off your search with these 7 top tips. Buying or selling a home is probably the biggest ‘deal’ in your life. So, it’s vital you have a strong team around you to represent your interests. A key part of this is choosing a vetted solicitor that you can rely on. So how do you go about it? Good old fashioned word of mouth is one of the most reliable methods of ensuring you get a good service – in any kind of trade. Ask friends and colleagues who have recently bought or sold property if they were happy with their solicitor or (licensed conveyancer) and whether they would recommend their services. The proof, after all, is in the pudding. 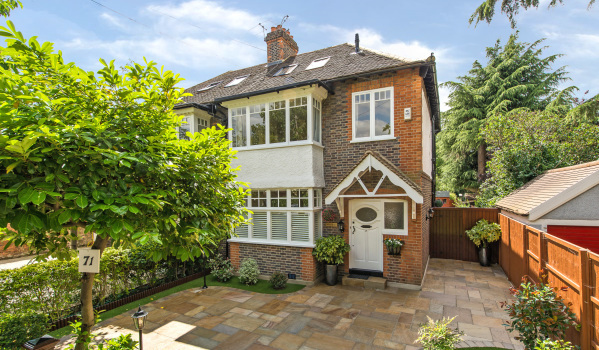 The agent responsible for selling the home may also be able to recommend a good solicitor – after all, they deal with them every day and know which ones are more proactive and which are less so. If you are starting your search from scratch, Zoopla’s partner MoveIt is on hand to help you out. Simply input your details, confirm whether you are buying, selling – or both – and the site will return quotes from a panel of eight hand-picked solicitors and conveyancers to help you through the Move process. This tool should take all the hassle out of trying to sort out the legal side of things – meaning you can concentrate on the rest of the long list of jobs on your moving to-do-list. Good conveyancing is critical for helping keep your purchase process on track. We have partnered with MoveIt so that you can instruct a vetted, approved and regulated solicitor or licensed conveyancer. Quickly compare conveyancing solicitors based on price, service and location. As much of the conveyancing process is now carried out online (or via the traditional post) it’s not imperative that the firm you choose is local to your current home. However, if time pressure is on later down the line, it can be reassuring to know you can deliver documents or photo ID for example, by hand. While you might not fully understand the ins and outs of what a solicitor does, remember you are a paying customer and it’s your right to scope out what you can expect in terms of contact, speed and estimated cost. Always telephone the solicitors before making an instruction and ask to speak to whoever will be handling the case. This is also an opportunity to establish a rapport which could prove useful later down the line. Especially if it’s during the summer or Christmas holiday season, you might want to consider using a larger firm of solicitors. This way, there’ll be more likely to be others that can step in and cover if your solicitor is off – and keep that all-important momentum going. It’s a good idea to get an estimated fixed cost upfront from your solicitor, don’t be tempted to just head straight for the cheapest. The saying, “if you pay peanuts you get monkeys,” is one that springs to mind. My advice is to choose quality.